Yesterday the Parish Administrators who work in the parishes of our diocese were invited to have tea with the Bishop. 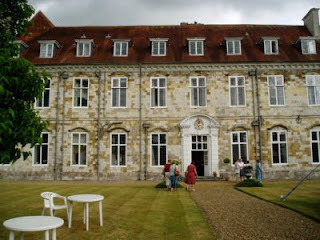 Afterwards we were given a tour of the palace by the Bishop himself and his wife. It was extremely interesting especially looking at the huge portraits of former bishops going back centuries. When my youngest son was quite small he said to me that he would like to become a bishop. I asked him why, he said "because they live in a place" - not a bad reason! They may live in a rather large palace but their actual living quarters are quite small compared to the rest of the building. 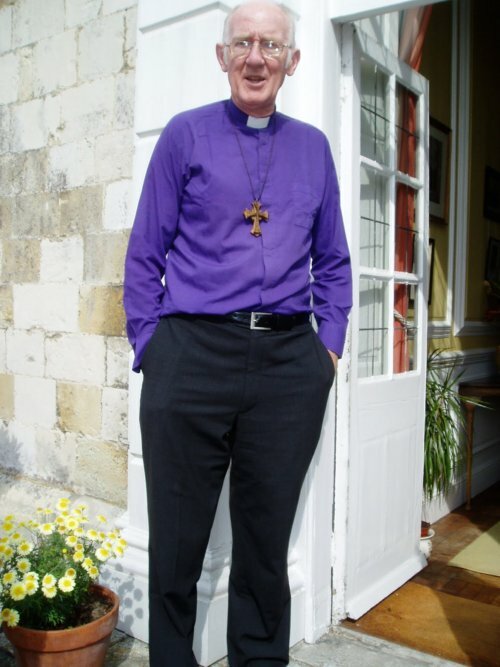 Here is the Bishop standing outside his door. I was intrigued at the pectoral cross the Bishop was wearing, it was made of wood with four other small crosses in the middle, I should have asked him about it but was too busy looking at everything else! 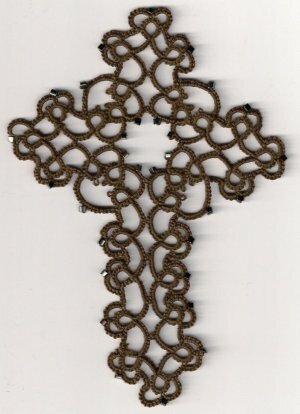 Pectoral crosses are worn almost exclusively by higher ranking clergy such as cardinals and bishops, at the centre of the chest (Latin pectoralis), and traditionally made from precious metals or gemstones so this particular cross must be for every day use! 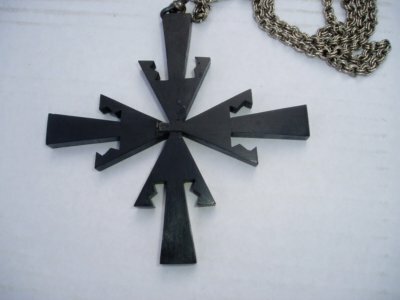 This is a cross made by "I'm in the garage" many years ago and it is made from ebony. I have worn it in the past but feel it is a little too large and ornate. Probably best suited for a Bishop. The tatted brown cross is from Mary Konior's Book Tatting with Visual Patterns. Instead of using 40 thread I used 20 which is why it looks a bit big and cumbersome, I added a few beads and should have pressed and blocked it but sort of lost interest. I shall not be tatting the pattern again. 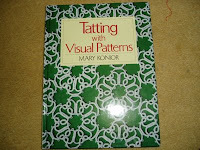 Well I was going to put the Mary Konior book away with my other tatting books, then I thought this isn't right. I've waited all this time to get my greedy little hands on the book, and so putting it away on the shelf and ignoring it for a week, a month or even two, just didn't seem right. So I made this bookmark which in the book is called "Black Magic" because it was obviously tatted in black. However, decided it would look good in variegated cotton and thanks very much to Sue Anna who so kindly sent me the stardate cotton, the end result is very pleasing. 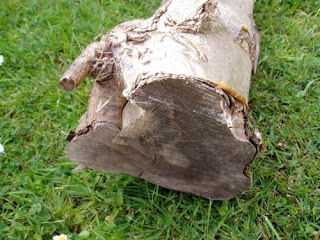 The piece of wood you saw in my previous post seemed to get some of you guessing, unfortunately you were all wrong! 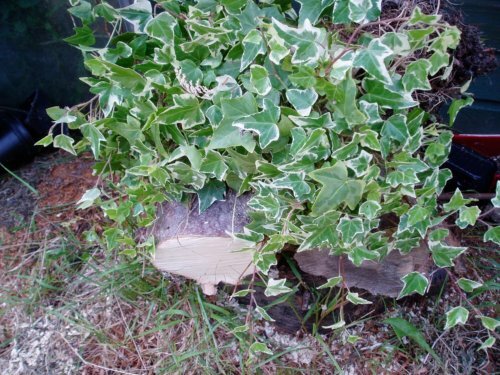 But thanks for trying, so that you can have one last stab at it, here is another picture with the log cut in half by the chain saw, to help you I have taken the photograph with a plant hanging over the wood, which should remind you of Christmas. hopefully will make some lovely shuttles in time for Christmas! Can any of you identify this piece of wood? This isn't a competition but it would be interesting to see if anyone can guess what the true identity of this wood is. It will not be known until the chain saw cuts into it, not sure when that will be, but hopefully soon. In the meantime have a stab at guessing what it is. Here it is basking in the late afternoon sun in our garden, the only clue I can give you is that it did not come from a forest, but was growing in a large garden. We have our suspicions but not absolutely sure. But as you can guess its future is sort of mapped out - tatting shuttles! 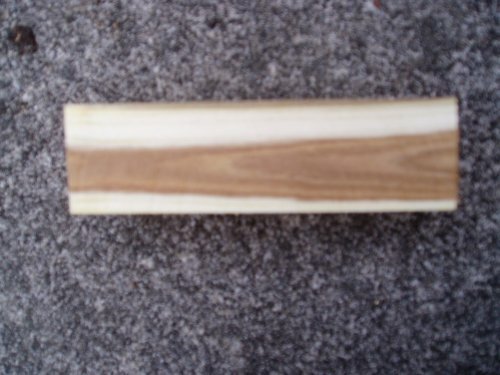 Here is a block of wood ready to be made into a shuttle from the previous post. 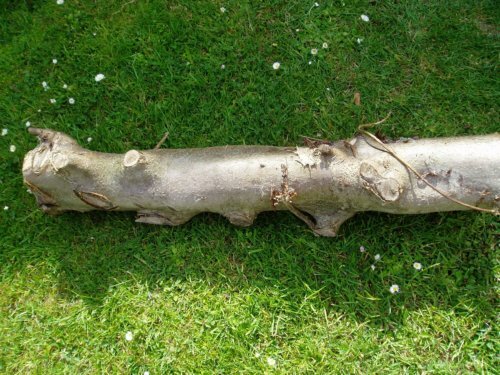 It comes from a Maacki Chinensis tree introduced into England in 1908 from China by a Mr. Ernest Wilson (you can read more about the species from Fox's comment on my last post). What I particularly like about it is the chocolate colour grain running through it, can't wait to see a shuttle made from this piece of wood. 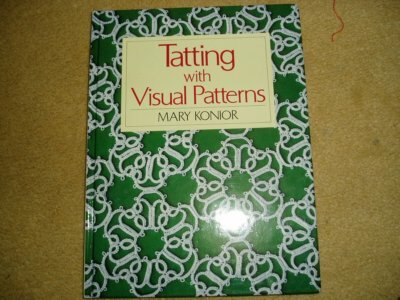 Over the years I have managed to buy almost all of Mary Konior's books brand new, but this one kept slipping through my fingers, it was purchased from e.bay and I was the only person to bid on it, which was very strange. But happily it has found a very good home and is in excellent condition. I am creeping-up very slowly to my 100th post, these are some more boxes I have prepared ready for a give-away, the next stage is to make sure there is going to be something to go in them. You can probably guess what I have in mind! 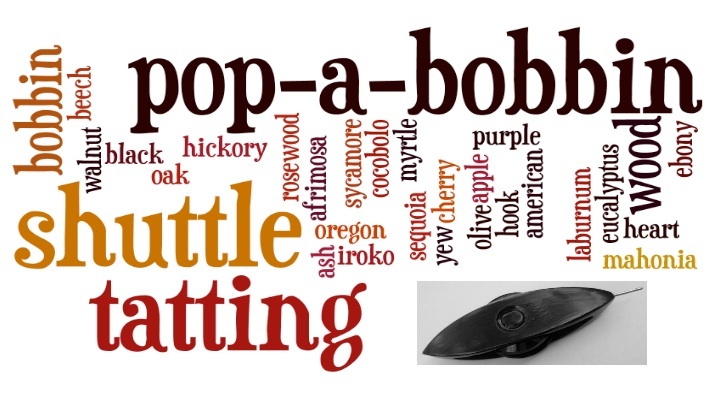 All the pop-a-bobbin shuttles that you saw sitting in the basket in the last post have now been posted to Jane and there isn't a single one left here, except the one you see on the top of my blog, that's mine and no one else is having it. The ebony came from one of my husband's trips to Africa. 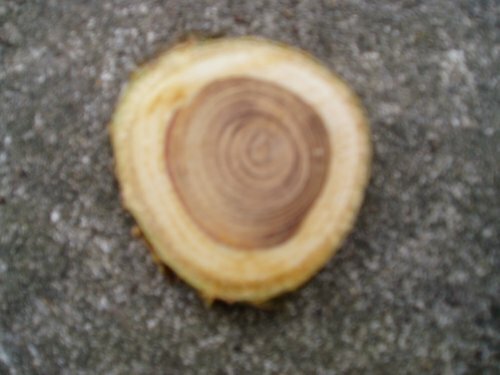 This piece of wood came from a tree that was originally brought over in the last century from China and is growing in a place quite near to where we live, they propagate rare species of trees. Someone who voluntary helps out there kindly rescued a branch which had fallen off. It is seasoning at the moment and will eventually be made into a shuttle. 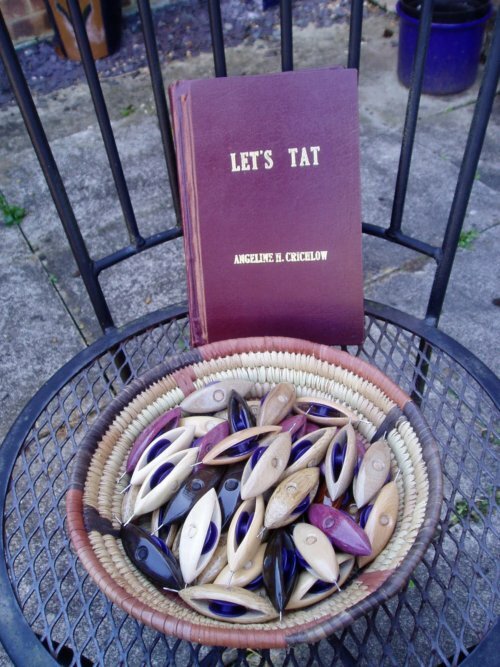 Angeline's book is now on its way to Trayna. 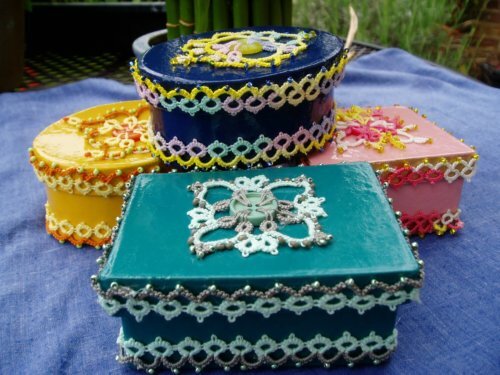 What I found particularly interesting was the history and the personal and chattie bits. Angeline's great grand mother was born in Ireland in 1827 and then left for Nova Scotia possibly because of the potato famine in the 1840s? The instructions in the book are very clear and it must have been in some respects, ahead of its time. The travelling book arrived at my home yesterday, I heard the post lady try and stuff it through the letter box, she knows I am never in, and I bet she thought that if she could get it through she wouldn't have to leave a card. I surprised her by coming to the door and she handed me the parcel, and then I foolishly tried to explain that it was a book that was "travelling"! Anyway here it is, I hope to get a better look at it this weekend, thank you Fox for sharing it with us. As you can see it is standing very proudly behind the next batch of pop-a-bobbin shuttles, they are just enjoying a bit of English sunshine before they begin their travels, I wonder if any of them will meet up with the book again? Now the book arrived from my sister's so it travelled from the middle of England to the south of England. Strange though they seem to be in another "date zone" up there - April and not only that 1st April - can you explain Jane?!! The book will be travelling north up to Scotland soon to Trayna, I wonder what date it will be up there! I just had to show you this picture, this afternoon I took a memorial service for an Army Officer and this Gurkha piper was invited to play outside the church. 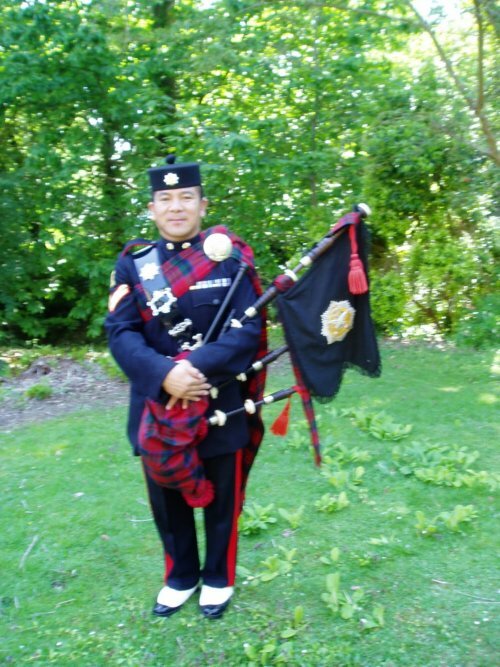 He is extremely smart and is wearing tartan, which we usually associate with Scotland.